It's never been easier to get your data in and out of Beacon. Import templates make getting data in a breeze and with new export templates you can create snappy reports in seconds. We're really excited to announce two great new Beacon features: Import templates and export templates. 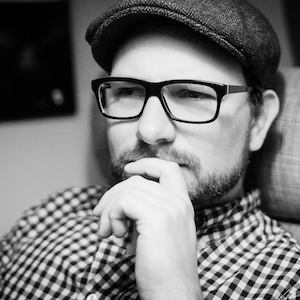 Import templates make it really simple to manage your CSV imports into Beacon. 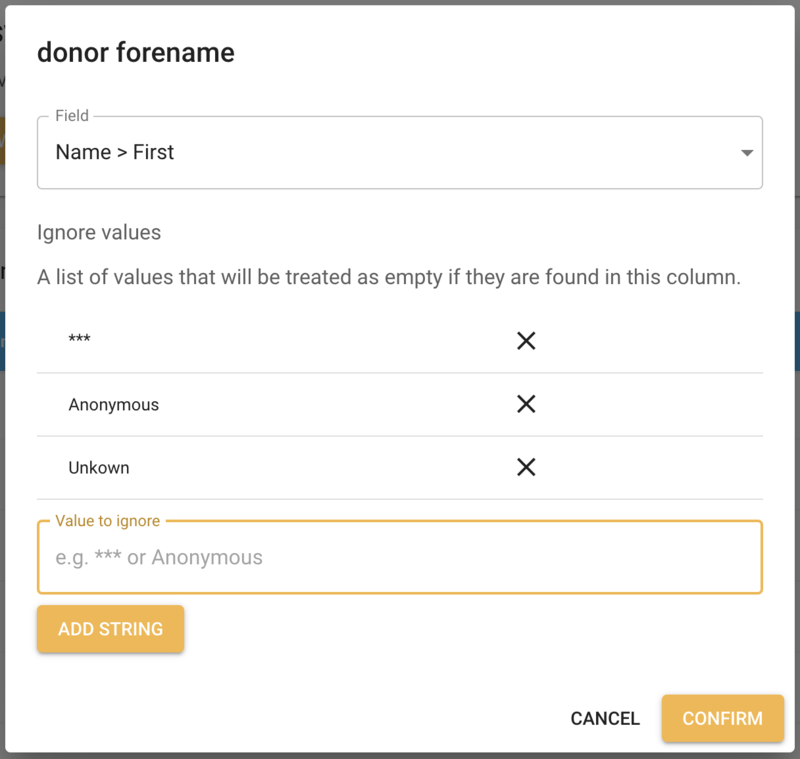 You can create a reusable template that maps columns in your CSV file to fields in your Beacon database. 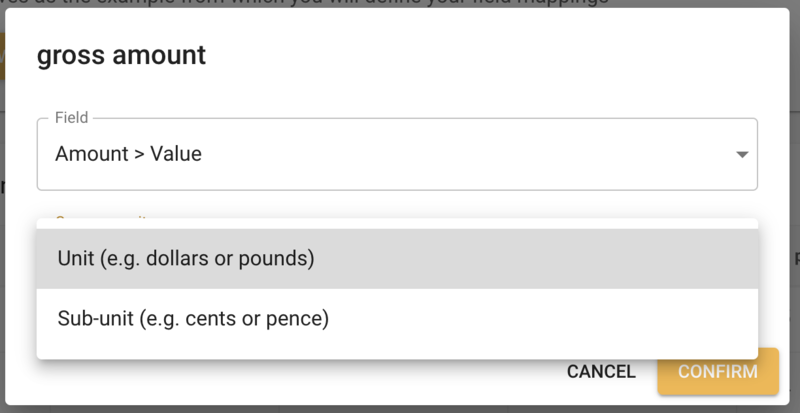 This is especially useful if you want to customise your import to get your data exactly how you want it in you Beacon. With export templates you can configure CSV exports for the people in your organisation who want to crunch the numbers. You can also create shiny PDF reports for those who prefer a slick looking overview. Lets take a quick look at these brand new features. 1. Configure once. Use again and again. 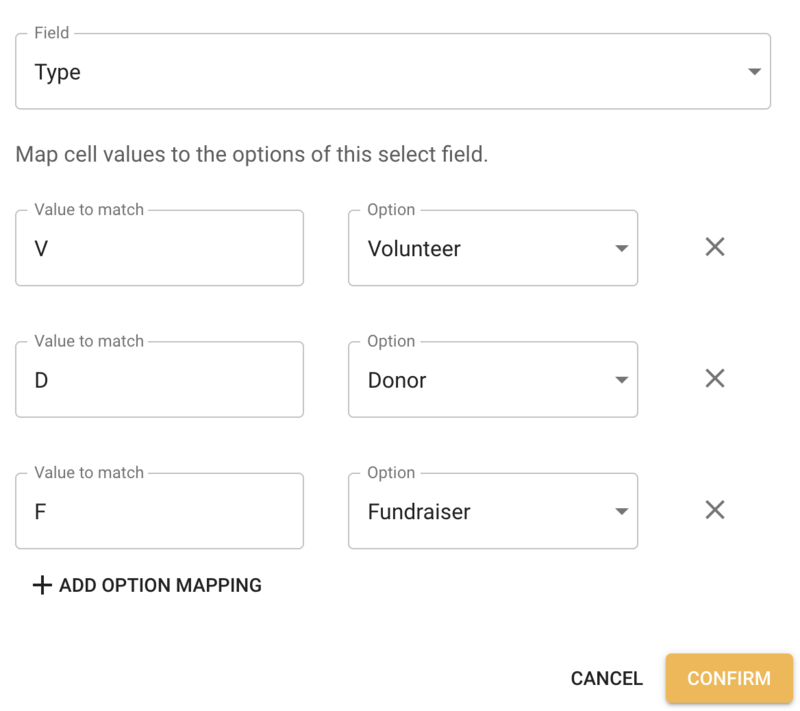 You can use import templates to map the columns of your CSV to your fields in Beacon. Once you've set this template up you can use it to import CSVs with just a few clicks. And with Beacon's advanced roles and permissions you can restrict access to editing templates and running uploads separately. This means that you can create a really simple regular upload process for your adminstative team. 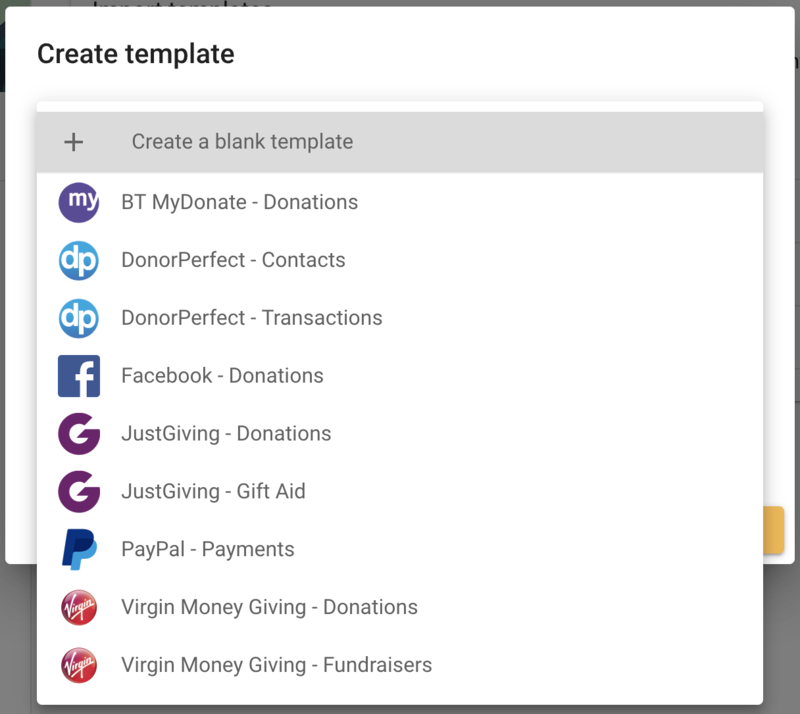 We've already built templates for lots of the common CSVs you'll be importing like Facebook Donate, Virgin Money Giving, and that all-important BT Mydonate. We'll be adding more templates to help you import your data and to migrate from older CRMs in the future. Sometimes CSVs come with annoying values rather than empty fields. Virgin Money Giving's donation report comes with "***" in name fields. Using select fields to standardise data is really useful. Here we're mapping the possible values in the CSV to the person types we've configured in Beacon. BT MyDonate reports its donation amounts in pence. Thanks guys. With import templates you can choose whether a currency field is in a standard "Unit" e.g. pounds or dollars, or a "Sub-unit" e.g. cents or pence. We love our pals across the Atlantic - but putting the month before the day of the month is silly. 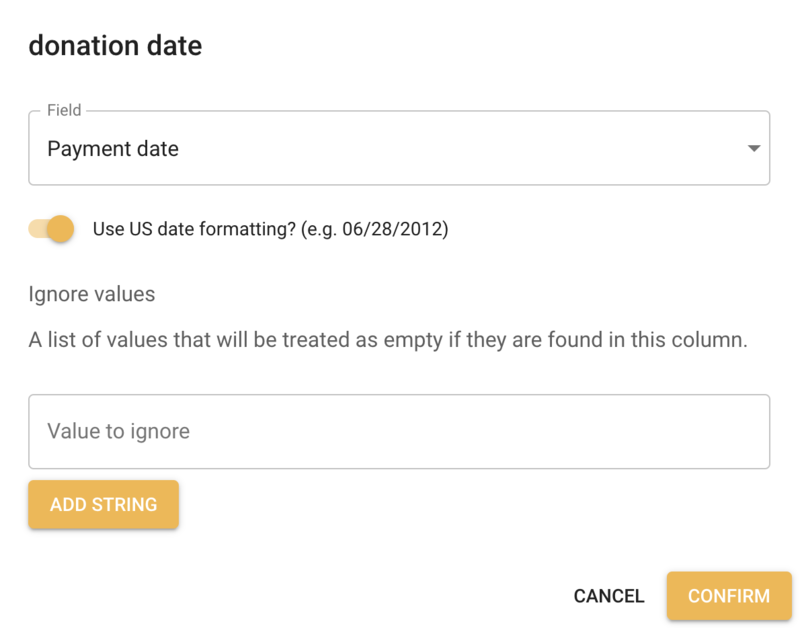 Nevertheless, you can now configure date fields to accomodate US date formatting. All other date formats are automatically detected and standardised by Beacon's import system. You can now export your CSV data by creating a template with the precise columns you need. 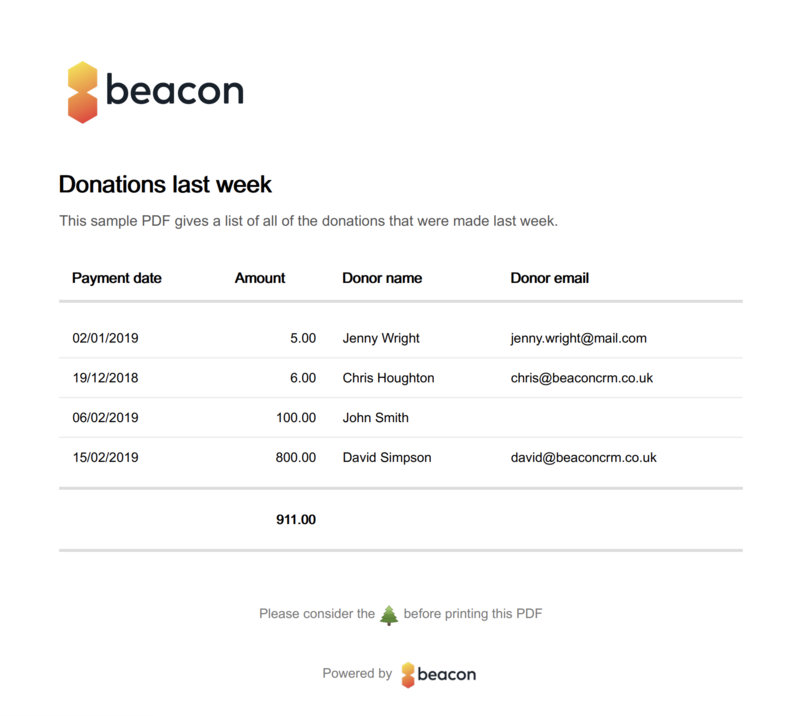 This is great for exporting Beacon data to other systems or for providing detailed summaries of donation data. When it's this easy to get data out of Beacon you don't have to worry about being locked in to a black box that you don't have control over. Exporting a CSV isn't ideal in a lot of cases. You can also export a PDF which is styled to be ready for you to send wherever its needed. No need to painstakingly copy and paste your data into a presentable format, Beacon does all of that work for you. Now here's the really cool part. You can either set a fixed set of filters (e.g. 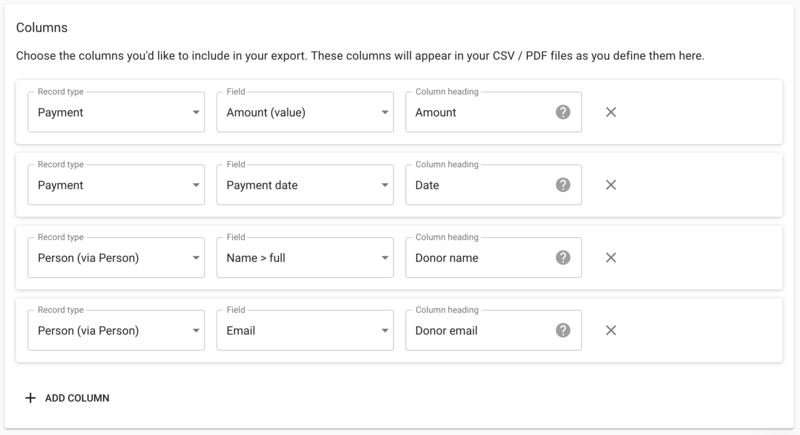 all donations this quarter) and then run your export immediately or you can zip over to a list view and choose the specific records you want to export. Whether you need to do a one-off export or you want to set up a regular report Beacon makes it easy for you. It's time to try it out! The new import/export system is live and ready for your to try right now. Log in to try it out. As always, we've written comprehensive documentation on how to use these shiny new features. You can read about imports here and read about exports here. I'm really keen to hear what you think! Fire off an email to [email protected] or click the chat button in the bottom right corner of this page to get in touch.